The Internet of things presents tremendous opportunities for all types of commercial activities. 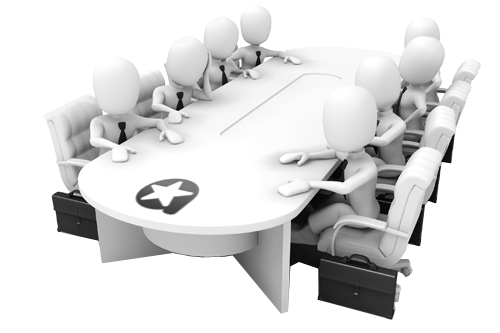 Our technologies allow you to develop your commercial communication up to the Act of purchase. Affixed to your products, a Tagg brings a decisive argument at purchase: customer benefit/product, implementation status by the image or the video, idea of use. Each of your products, when equipped with a Tagg linked to your commercial site, multiply your chances to see new visitors arrive on your site. And this throughout the life of your products, for any potential customers who could ever cross their path. Who better than a satisfied client would promote its purchase (your product) among his circle of relations? By putting a unique TAGG on each of your products you will give them an identity. This allows you to track each of them individually. You can get an accurate stock status in real time, follow your products through the various stages of their distribution, or even propose to your customers to register their products online. There is no real limit to the use of the TAGGs other than that of your creativity and the Internet. You can use the services of specialized agencies that will help you make the best of it. Ask for our consultants' helpful advices. Get Started! It's easy and free. 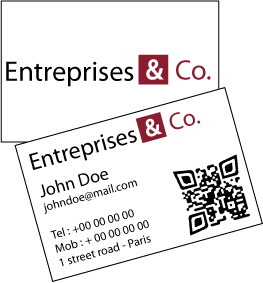 Start by creating your business card!